Speaking on ABC Radio National this morning, Michael Crow, President of Arizona State University (ASU), talked about how they increased graduation rates of disadvantaged students. One measure was to return to an admission standard from the 1950's, with students requiring a B average in high school and preparatory courses. 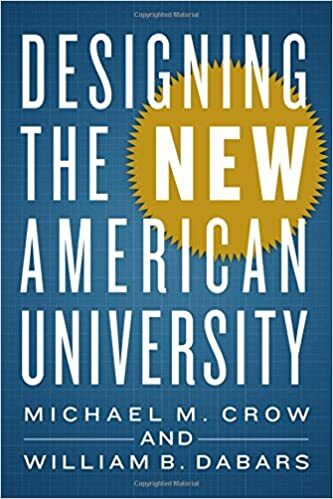 Professor Crow is author of "Designing the New American University" (with William B. Dabars). The book expands on the issue of selective admission (Page 33), citing Douglass (2007, p. 42). While not mentioned in the interview, I noticed that ASU sponsors "ASU Preparatory Academies". These are K to 12 schools with specific programs to prepare students for university, including critical thinking and "deep learning experiences". There is a risk with this approach that schools will focus on meeting university entrance requirements and not provide students with broader skills. However, if the university requirements are broad, then both aims could be met. Professor Crow also mentioned that Arizona State had 75,000 on-campus and 25,000 on-line students. That seems the wrong mix to me and the ideal would be 20,000 on-campus, plus 80,000 on-line.